This Bulletin constitutes the only official notification you will receive from this office concerning any of the following applications. Any observations you may have are solicited. 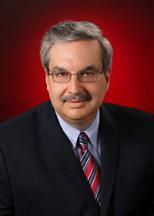 Any comments should be directed to Jorge L. Perez, Banking Commissioner . Written comments will be considered only if they are received within ten business days from the date of this bulletin. On March 15, 2019, the Commissioner approved the application of Ankura Trust Company, LLC , a New Hampshire-chartered nondepository trust company, to establish a trust office in Connecticut pursuant to Section 36a-434a of the Connecticut General Statutes. The office will be located at 140 Sherman Street, 4th floor, Fairfield, Connecticut. On March 6, 2019, the Commissioner entered into a Consent Order with Recovery Solutions Group, LLC (NMLS # 1697807) (“RSG”), Milford, Delaware. The Consent Order was based on an investigation by the Consumer Credit Division. As a result of such investigation, the Commissioner alleged that RSG acted within this state as a consumer collection agency without the requisite consumer collection agency license between June 2014 and November 2017, in violation of Section 36a-801(a) of the Connecticut General Statutes. As part of the Consent Order, RSG paid $10,000 as a civil penalty and $1,600 as back licensing fees. 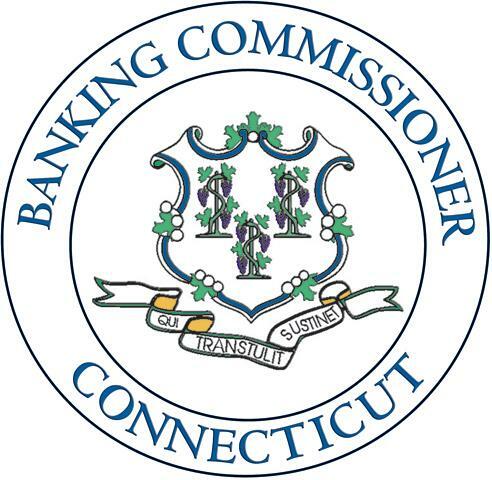 On March 11, 2019, the Banking Commissioner entered a Consent Order (Docket No. CO-18-8430-S) with respect to Voya Financial Advisors, Inc. f/k/a ING Financial Partners, Inc. The firm is registered as a broker-dealer under the Connecticut Uniform Securities Act and maintains its principal office at 699 Walnut Street, Suite 1000, Des Moines, Iowa 50309. The Consent Order had been preceded by an April 23, 2018, Order to Cease and Desist, Order to Make Restitution, Notice of Intent to Fine and Notice of Right to Hearing alleging that the firm failed to exercise supervisory controls over its operations. Notably, Connecticut agent Dale Joseph Quesnel, Sr. (CRD No. 2231152) allegedly engaged in improper selling away, and sold $1.9 million of securities issued by Overtime Marketing, LLC, Overtime Sports Southeast, LLC and Overtime Sports Southwest, LLC, as well as $250,000 of securities issued by Floridel, LLC. The original Order was amended and restated on November 13, 2018. Hearing proceedings were initiated but not completed during the latter part of January 2019. Pursuant to the Consent Order, Voya Financial Advisors, Inc., agreed to establish a $915,000 fund to provide outstanding restitution to affected Voya clients. Voya Financial Advisors, Inc., also agreed to pay a $100,000 fine to the agency and to cease and desist from regulatory violations. On March 11, 2019, the Banking Commissioner issued an Order to Cease and Desist, Order to Make Restitution, Notice of Intent to Deny Registrations as an Investment Adviser and as an Investment Adviser Agent, Notice of Intent to Fine and Notice of Right to Hearing (Docket No. CRNDF-19-8408-S) against Mosaic Financial Strategies LLC (f/k/a Mosaic Portfolio Strategists LLC and doing business as Mosaic Advisory Partners) (“Mosaic”) of 40 Maple Road, Easton, Connecticut 06612, and Adam Westphalen, principal of the firm. Mosaic had previously been registered as an investment adviser in Connecticut until 2014, and reapplied for investment adviser registration under a different CRD number. Adam Westphalen also reapplied for registration as an investment adviser agent of Mosaic. The action alleged that (1) from approximately 2004 forward, Westphalen was involved with various businesses, to wit, Triton Investment Partners LLC, Vista Financial Strategies LLC, Vista Investment Advisors LLC and Mosaic College Planners; and (2) Westphalen and Mosaic failed to amend their Connecticut registration filings to disclose their affiliations with Triton Investment Partners LLC, Vista Financial Strategies LLC and Mosaic College Planners, in violation of Section 36b-31-14e of the Regulations under the Connecticut Uniform Securities Act. The action also alleged that, following the expirations of their prior registrations, Mosaic and Westphalen transacted business as an unregistered investment adviser and an unregistered investment adviser agent, respectively, in contravention of Sections 36b-6(c)(1) and 36b-6(c)(2) of the Act, and that Mosaic falsely represented on its reapplication that it had not rendered investment advisory services. In addition, the action alleged that Westphalen sold unregistered securities in violation of Section 36b-16 of the Act and violated the antifraud provisions in Section 36b-4(a) of the Act. More specifically, Westphalen purportedly solicited a Connecticut couple to invest $67,500 in Omni Oil and Gas Inc., a Texas based oil and gas concern whose securities were not registered under the Act. Westphalen also allegedly solicited multiple investors to invest in Triton Investment Partners LLC and failed to provide them with key disclosures. In neither offering was Westphalen registered as an agent of issuer as required by Section 36b-6(a) of the Act. The Respondents were afforded an opportunity to request a hearing on the Order to Cease and Desist, Order to Make Restitution, Notice of Intent to Deny Registrations as an Investment Adviser and as an Investment Adviser Agent and Notice of Intent to Fine.